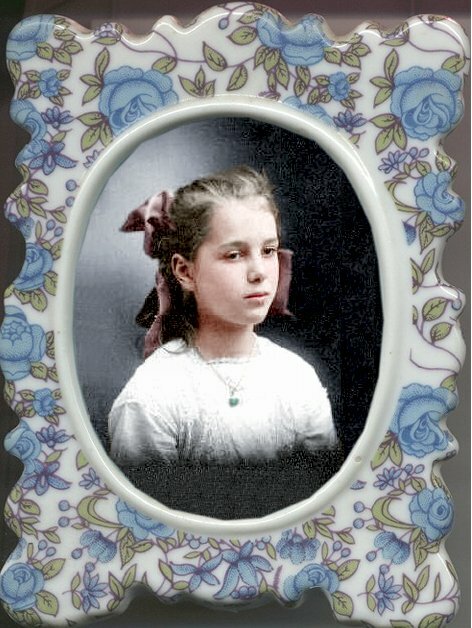 Comments: Mary C Dillon (Nee: Mary C Dillon) | Carrolltown PA USA | 1901-1920 | Comments: This is one of several photos taken when a young women. The photo was colored and placed in picture frame by a man fron Canada. This photo was taken two years before she lost her Mother, Bernetta Wetzel Dillon.